Spyder Outbound 1/2-Zip Sweater - The Spyder Outbound Mid-Weight 1/2-Zip Core Sweater looks like a normal ski sweater, but it's way more technical. While the exterior is a sleek ribbed sweater knit, the lining is a soft fleece that insulates against the cold. Stretch panels under the arms eliminate any bulky feeling, and allow you to comfortably layer the Outbound Sweater under your ski jacket. This Core Sweater has mid-weight fabric, which is great for layering in nearly all temperatures. Kuhl Kommando Crew - Tired of your normal wardrobe? Go Kommando and grab this great Kühl® pullover. Wildfibre™ fabric is 100% organic peached cotton that has not been genetically modified and is grown without any pesticides or chemical fertilizers. Classic crew neck. Zippered stash pocket at left bicep. Cuffs with thumb loops extend coverage to keep hands warmer. Straight hemline. Triple needle topstitch adds style and durability. Brand hits at left bicep and nape. 100% organic cotton. 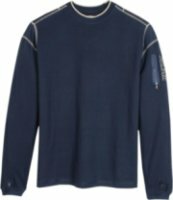 Prana Barclay Sweater - Welcoming the weather, the Men's Barclay Sweater from prAna offers a wool blend knit, with fleece-lined collar and cuffs that feels bare skin against the elements. The Barclay features a two-way zipper and convenient inner iPod sleeve. Collar and cuffs are fleece lined for extra warmth. Performance fit is streamlined and bulk-freeRecycled materials reduce the products environmental impactWool and synthetic fibers work together to keep you warm and helps manage moistureSoft polyester fleece lining on the collar and cuffs is easy on your skin in high-movement areas44% wool, 40% polyester, 14% nylon, 2% other fibers. 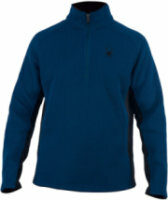 Kuhl Thor 1/4 Zip - Kuhl Thor 1/4 Zip - Men's: Nobody will mess with you when you wear Kuhl’s Thor ¼ zip men’s sweater. Stay warm and comfortable with a sweater knit wool blend bonded to a micro fleece. Don’t say Kuhl never did anything for you. 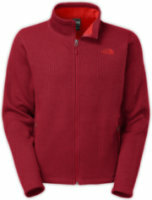 Features include:Sweater knit bonded micro fleece. Upper left sleeve zip stash pocket. Precision Swiss made Riri zippers for quality and longevity. Underarm gusset for less bulk and better breathability. 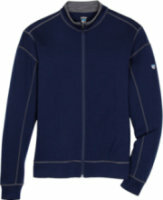 Patagonia Lambswool Crew - The Men's Lambswool Crew by Patagonia. Inspired by a 1960s photo of Yosemite climbers at a valley-floor wedding, the Lambswool Crew is exceptionally soft, has some nylon for durability and shape, and comes in heathered colors. FEATURES of the Patagonia Men's Lambswool Crew. 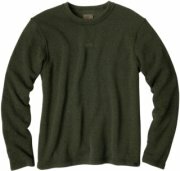 SPECIFICATIONS of the Patagonia Men's Lambswool Crew.20% nylonSoft lambswool and durable nylon blend maintains shape5-gauge 80% lambs woolRegular fitCrew neck sweater with rib-knit cuffs, neckline and hemMade in ChinaHeathered colors510g (18oz). Patagonia Wool Cask Crew - The Patagonia Men's Wool Cask Crew. A timeless crewneck made of a soft, comfortable wool and cashmere blend that's available in solids and stripes. FEATURES of the Patagonia Men's Wool Cask Crew. SPECIFICATIONS of the Patagonia Men's Wool Cask Crew. 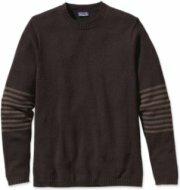 Soft wool with a 5% cashmere blendJersey knit crewneck sweater with rib-knit on neckline, cuffs and hemRegular fitMade in ChinaV-shaped rib-knit detailing on center-front neckline9-gauge 95% wool/5% cashmereHeathered colors. The North Face Mt. 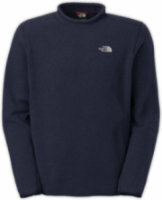 Tam 1/4-Zip Sweater - FEATURES of The North Face Men's Mt. Tam 1/4 Zip Sweater. SPECIFICATIONS of The North Face Men's Mt. Tam 1/4 Zip Sweater. Fleece facing at collarHand wash only. Lay flat to dry. Logo patch at cuffDeep chest zip allows you to find the optimal temperatureZippered rib mock-neckMicro-fleece collar lining prevents chafe even when the Mt. Tam is worn as layerRib knit at neck and cuffs adds style and enhances comfort and fitConstructed of 50% cotton, 40% wool, 10% nylon sweater knit. 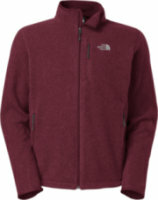 The North Face Gordon Lyons Jacket - The North Face Men’s Gordon Lyons Crew is a fleece pullover with crew neck for cold winter days. Whether you’re using it as a mid-layer while snowshoeing or just shoveling the snow, the Gordon Lyons will keep you toasty. The underarm gussets provides plenty of movement and the hem and cuffs keeps the fabric closer to your body to prevent heat loss. The collar has a simple roll detail which makes it easy to get on over your head and soft against your neck. Prana Sherpa Crew - Pull on the prAna Men's Sherpa Crew Sweater first thing in the morning before you get the campfire going and start making breakfast. Made with deliciously soft fabric, the Sherpa lends you warmth and comfort when you camp up in the high mountains. Its standard fit makes it easy to layer above your tee or wear below your down jacket.80% Cotton, 20% Polyester55% cotton, 26% poly, 19% acrylic. Standard fitWash dark colors separatelyMachine was cold on gentle cycleRaglan sleeves. Airblaster Sassy Sweater - The Airblaster Sassy Sweater keeps you as warm as old Bigfoot himself. Just be careful not to be out-shined by your furry friend, who is rocking some sweet looking shades on the Sassy Sweater. Who are we kidding? 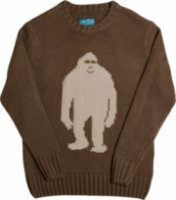 You'll never look cooler than Sasquatch, but at least with Airblaster's sweater, you'll be in good, warm company. *Attitude not included. Ribbed cuffs and hemRegular fitAcrylic knit. Kuhl Scandinavian Jacket - In northern Europe a group of countries known for its cold weather and harsh conditions is known as Scandinavia. Kuhl took that region and turned it into a performance full length zip fleece named The Scandinavian. The Kuhl Scandinavian Full zip is the essential technical mid-layer piece for any avid winter enthusiast. The Scandinavian Full is made of the material Alfpaca which is a blend of 78% Acrylic and 22% Polyester and is knitted with multi-toned yarns providing a rich look and feel. 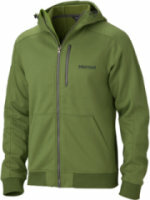 SmartWool PhD HyFi Hoodie - Get a FREE pair of Smartwool socks when you order some Smartwool apparel. You will need to add the item and Smartwool socks you want to your cart, and use code to get the socks totally free. The deal works with the Black / Red color option, in Medium or Large, so make sure those are the socks you add to your cart. So confusing, but so worth it. The deal is NOT good on orders placed at Moosejaw Rewards. 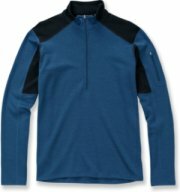 SmartWool PhD HyFi Half Zip - Get a FREE pair of Smartwool socks when you order some Smartwool apparel. You will need to add the item and Smartwool socks you want to your cart, and use code to get the socks totally free. The deal works with the Black / Red color option, in Medium or Large, so make sure those are the socks you add to your cart. So confusing, but so worth it. 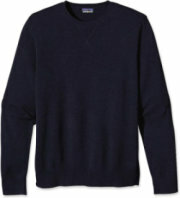 Dale of Norway Dale 125th Anniversary - The Dale 125th Anniversary sweater is a unisex fit. Please use the masculine size conversion to locate your corresponding size based on body measurements. Celebrate the timeless quality and superior performance of Dale of Norway® in the Dale 125th Anniversary sweater. Every Dale of Norway item is crafted by third and fourth-generation knitters in the small village of Dale in western Norway. Four-ply yarn construction offers a heavier weight for easy insulation. Icebreaker Legion LS Zip - FEATURES of the Icebreaker Men's Legion Long Sleeve Zip. SPECIFICATIONS of the Icebreaker Men's Legion Long Sleeve Zip. Regular fitContrast sleeve and collar panelsIcebreaker tonal embroidered logoRaglan sleeves320gm jersey/100% merinoIcebreaker pip label. The North Face Gordon Lyons Full-Zip Sweater - If you have spent time trekking, traveling, and exploring all corners of the globe (or just all corners of the woods beyond your backyard), you know the value of a warm, versatile fleece. The North Face Gordon Lyons Full-Zip Sweater is constructed of densely knit sweater fleece with an exceptional warmth-to-weight ratio that will keep you warm in cool-to-cold temperatures. Excellent warmth and breathability help make this jacket extremely versatile, and the zippered hand and chest pockets provide security for your belongings while traveling. Kuhl Team Full Zip - Kuhl Team Full Zip- Men's: Unique styling makes the Kuhl Team Full Zip merino wool sweater stand out from the competition. Wool is one of the best performance fabrics as it keeps you at a steady temperature without overheating, it wicks away moisture, and stays warm when wet. That is a winning combination for the Kühl Team. You can't imagine a better sweater--from slope side, to trail running to town hall--you can trust the Kuhl Team Full Zip to do it all.100% lightweight boiled Merino Wool. Marmot Croydon Fleece Hoodie - The Croydon Fleece from Marmot is a brushed midweight fleece that's perfect for everyday casual comfort and warmth. Fiber Content: 100% polyester fleece. Country of Origin: ImportedMidweight polyester fleece fabric for warmth without weightRib knit at cuffs and hemRegular fitAdjustable drawcord at attached hood3-piece hoodWind flap with chin guardZipper secure chest pocketContrast zippersHandwarmer pocketsQuick drying for minimal heat loss. The North Face Krestwood Full-Zip Sweater - The North Face Krestwood Full-Zip Sweater for Men allows you to stay on the slopes longer with it's warm heavyweight sweater-knit fleece fabric that takes you seamlessly into apres after your last run. The soft, brushed fleece back is comfortable next to the skin, or when worn against baselayers. Active fitTurn fleece inside out to prevent pilling. Machine wash separately in cold water on gentle cycle, using a mild detergent. Do not iron, steam, press or dry clean. Also avoid using bleach and fabric softener. Icebreaker Quattro Hood - FEATURES of the Icebreaker Men's Quattro Hood. SPECIFICATIONS of the Icebreaker Men's Quattro Hood. Regular fit98% merino wool, 2% elastaneAdjustable shaped hood for protectionBreathableSeamless raglan sleeves for freedom of movementFull zip with chin guardFront hand pockets with rib detailingNaturally odor-resistantMidweight 260 gm terry merino. 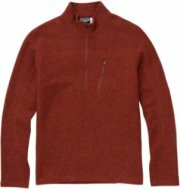 Ibex Shak Lite 1/2 Zip - Some sweaters live a boring life of business meetings and stuffy social gatherings, but not the Ibex Shak Lite half-zip. It prefers to spend time on alpine peaks, rugged trails and rocky ocean shores. Made in USA. 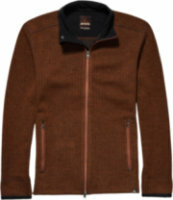 Semi-fitMade of soft, U. S.-sourced Rambouillet merino wool, this sweater insulates, wicks away moisture and breathes—naturally12'' Zip neck with locking zipper pullThe Ibex Shak Lite Half-Zip sweater has a semifitted cutHalf-zip front allows easy on and off; interior chin guard protects your skin from the zipperZippered pocket on the left sleeveThumbholes secure sleeves over hands for warmthLight, durable, soft & lofty knitMachine washable. 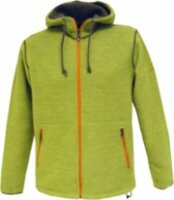 Ivanhoe Of Sweden Hoodie Jacket - Crafted of soft, warm, wind-resistant boiled wool, Ivanhoe's hoodie jacket features contrast-colored zippers for added visual appeal. Knit collar liningDrawcord hemSoft, dense, durable and wind-resistant boiled wool constructionAttached hood with drawstringZip hand pocketsFull-zip frontContrast-colored zippersMade in EstoniaBy Ivanhoe of Sweden.